The much awaited Apple smartwatch has finally been unveiled. Apple's Tim Cook has demonstrated a 'day in the life' of the watch and revealed how the Watch can receive calls, order taxis and even control smart home devices. In fact today's unveiling ceremony was much more than just Apple's smartwatch. It also unveiled a new 12-inch MacBook with an 'all-day' battery life. It weighs 2lbs and is 13.1mm thin making it lightest and thinnest MacBook. Tim Cook also announced Apple's partnership with HBO for the launch of HBO Now. 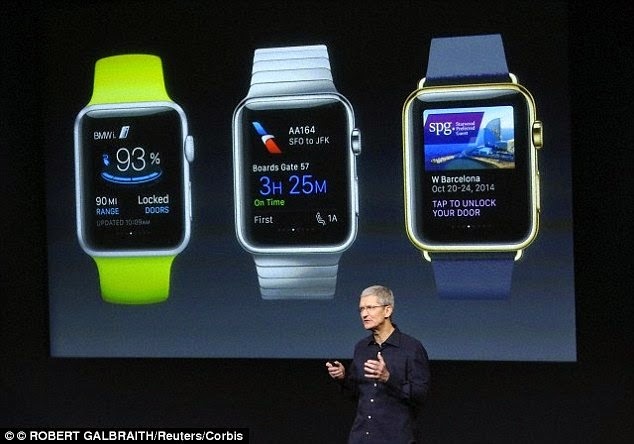 Apple also announced that the Apple smartwatch will an 18-hour long battery life. 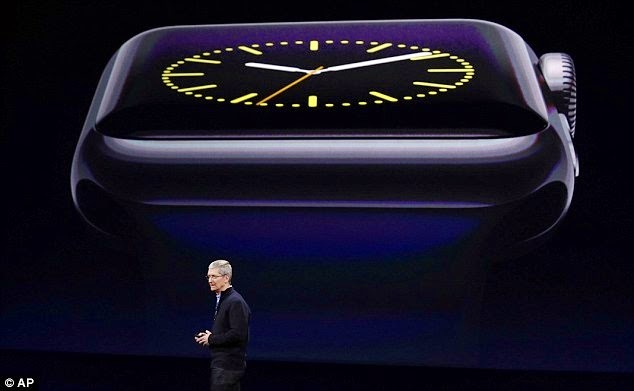 The watch will come in three models:the Apple Watch, Watch Sport and Watch Edition. Apple Watch is made of stainless steel with a sapphire crystal Retina display and ceramic back. All models will be sold in either 1.4-inch (38mm) or 1.7-inch (42mm) versions depending on which colour the owner chooses.